Doctors, parents and school districts seek Mr. Raser's help with troubled teens involved in gangs, drugs, running away or suicide. Mr. Raser also helps children with their performance in school, identity issues and family relationships. Mr. Raser is a Licensed Master of Social Work-Advanced Clinical Practicioner and a Licensed Marriage and Family therapist. 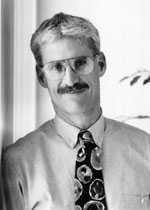 He completed postgraduate training with the Texas Institute of Family Psychiatry and later completed a postgraduate fellowship at the Houston Galveston Institute in 1985. A leader in the field, Mr. Raser is a senior faculty member of the Houston Galveston Institute, and also serves on the editorial advisory board for the Journal of Systemic Therapies. Jamie Raser maintains a clinical practice in Houston, consults regularly to a local school district (Deer Park ISD), and teaches workshops on parenting. A proud father, Jamie believes that it is possible to raise children you can live with, and to have fun doing it.